"Mock Negotiations" training will be available at PSBA headquarters in Mechanicsburg and six IUs across the state. Whether you have been on your negotiations team for years or are new to this, you will acquire skills and perspective after participating in this half day, hands on training led by experienced labor attorneys and facilitated by PSBA staff. Participants will work through negotiation scenarios, playing roles on each side of the table and will then join together by videoconferencing connected with all locations, for discussion and feedback. Why did your team settle, another team reach an impasse, while another merely made some progress with no obvious resolution? Program: 9:30 a.m.- 2:00 p.m.
David J. Truelove is a partner in the Yardley, Pa. office of Hill Wallack LLP and a member of the firm’s Employment & Labor Law practice group. 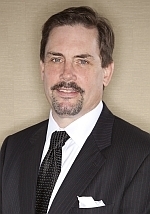 His areas of concentration include municipal and school law, labor law, employment matters and complex litigation. At a time when local government budgets are strained to their limits, Mr. Truelove is a recognized labor lawyer, who has successfully represented municipalities, school districts and other public entities throughout Bucks County, Montgomery County and the surrounding region in a wide variety of high-profile collective bargaining matters, including contract negotiations, grievances, arbitrators and unfair labor practices and organizing matters.